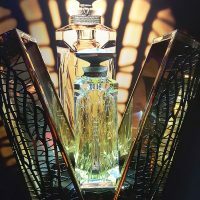 Lalique launched at TFWA-WE 2017 its new fragrance Illusion Captive, a fragrance from the Noir Premier collection that pays tribute to the Libellule brooch created by Lalique in 1898. 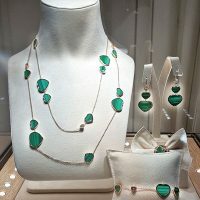 A veritable icon of luxury, the Maison Lalique first caught the eye in the field of glassware and jewelery. 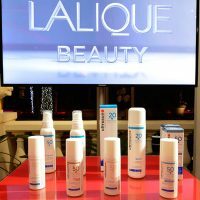 Led by René Lalique, a visionary artist, this prestigious brand successfully diversified into the world of perfumery without ever forgetting its origins. Thus, Lalique has chosen to weave the world of goldsmithing into the olfactory world to create the perfume Illusion Captive. 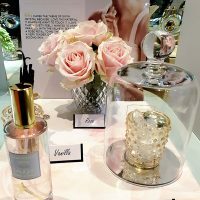 Art & Fragrance presented the new perfume in Cannes at TFWA-WE 2017. René Lalique created his first Paris workshop in 1885, in the heart of the Belle Epoque, at the dawn of the Universal Exposition in Paris at the turn of the 20th century. In full swing, the capital is experiencing a period of exaltation, pomp and opulence. Fashion, cinema, painting, nightlife, entertainment, charnel pleasures, new technologies, the inauguration of the Eiffel Tower in 1889 – a showcase of the art of living, luxury and progress – make of Paris the center of the world. The frivolous Paris rave about the wonders generated by the world of French art. As ephemeral as hectic, this euphoria make the bourgeoisie a class spending, whimsical class, greedy of parties. The dandies show off at the arms of frilly and extravagant, venal, capricious and seductive women, whom they cover with sumptuous gifts. 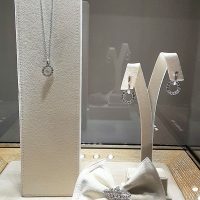 In 1890, the jeweler René Lalique is recognized as master of the French Art Nouveau. Realized thanks to the most elaborate techniques, its original and imaginative creations, far from conventions and pioneering, are delighting an intellectual and artistic elite. 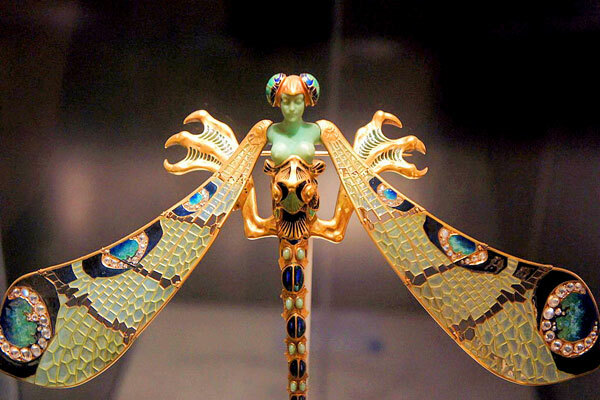 Lalique has the wind in his sails when he created in 1898 the Dragonfly Brooch. This iconic jewel, symbol of power and desire, acclaimed at the 1900 World’s Fair, was worn by actress Sarah Bernhardt. It represents the naked torso of a woman turning into a dragonfly, with two disproportionate griffon claws with sharp claws. Purpose of all desires, this jewel sanctifies the Woman and the Faun. 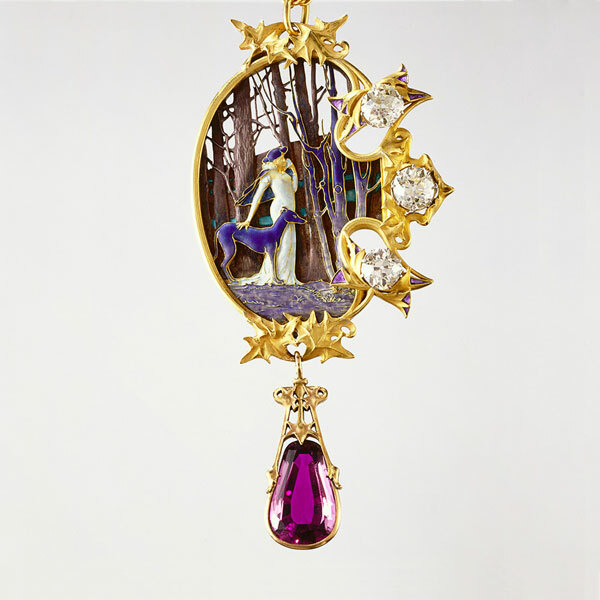 The Universal Exhibition of 1900 sees the heyday of René Lalique’s career as a jeweler. It was at this time that he embarked on the glass industry and the art of crystal and became, from 1920, the Art Deco master glassmaker. In 1921, he built his glass factory in Alsace in Wingen-sur-Moder. In 1907, the perfumer François Coty, seduced by René Lalique’s creations, offers him to combine their talents in the service of perfumery. 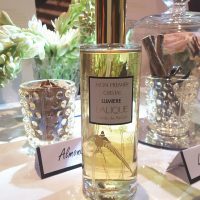 Their work in association revolutionizes the perfume industry, allowing for the first time to present perfumes in pretty bottles at equally attractive prices. 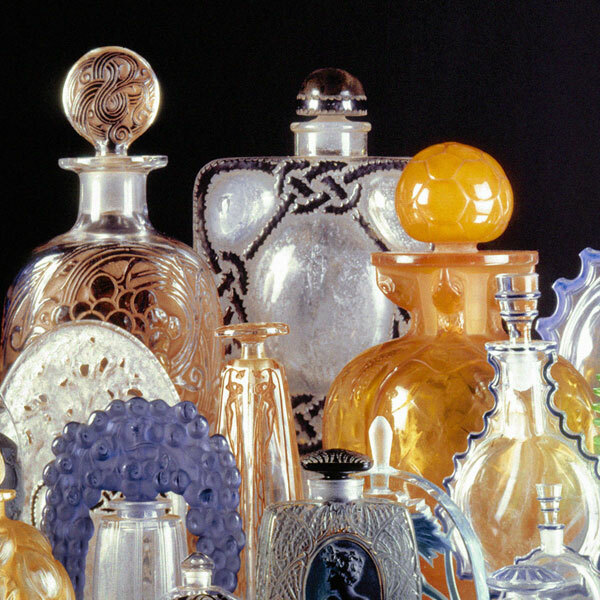 The history of Lalique is therefore intimately linked to that of perfumery. 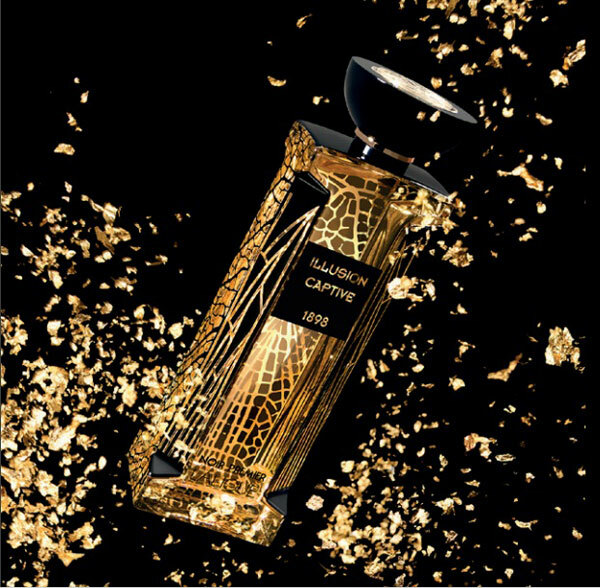 Through the Noir Premier Collection, to which Illusion Captive belongs, Lalique Parfums is paying homage to the house’s iconic perfumes by combining the heritage of tradition with the spirit of the times. To salute the visionary spirit of the master glassmaker and share its creative flair, the fragrance evokes the Libellule brooch by adopting the codes of its visual identity: a mosaic decoration, an architectural dimension bearing subtle allusions to the wings of the Woman-Dragonfly. On the deep black background of the Noir Premier perfumes range, we can distinguish the pattern of the wings of a dragonfly. 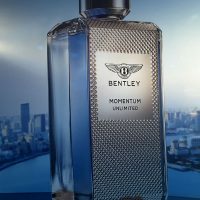 But this new fragrance upsets the codes: the bottle is brighter and reverses the trend by featuring mosaic patterns of the dragonfly’s wings in black on a transparent background. This beautiful contrast with architectural dimension is offered in a black lacquered box that hides the surprise of the discovery of this new fragrance. 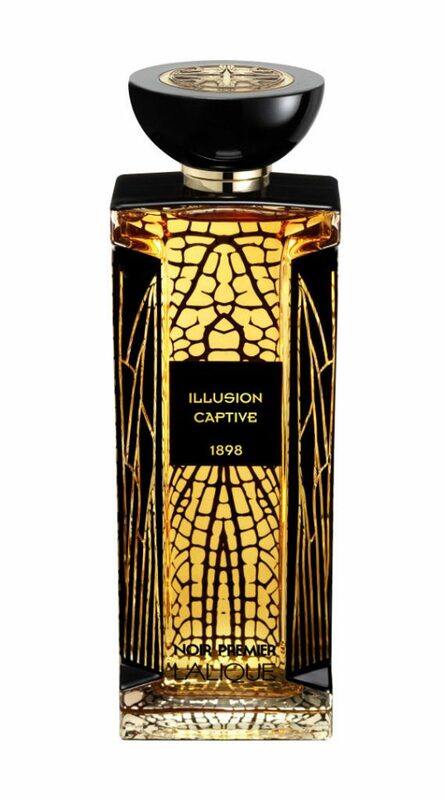 Illusion Captive is a complex and hypnotic fragrance that invites you to travel to unknown lands, or forgotten times. Crossing a spicy oriental air brought by cinnamon, the jasmine reinforces the opulence and limpidity of the heart notes. The cedar notes offer a woody side and the fig tree brings a fresh and fruity feel. The gourmand side is seasonned by the Tonka bean. Combined with the bergamot, the patchouli offers a captivating touch and vanilla and myrrh end up sublimating the entire composition by wrapping a warmer and more suave part. 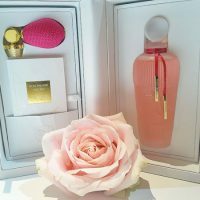 Neither too sweet nor too heavy, this timeless fragrance developed by Karine Dubreuil-Sereni is suitable for daring spirits, sensual souls and strong personalities. 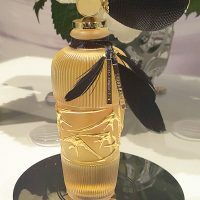 Faithful to Lalique’s glasswork, the rear facade of the crystal bottle is engraved with a design that is reflected on the front facade of the flacon, sublimated by the liquid gold of the perfume. 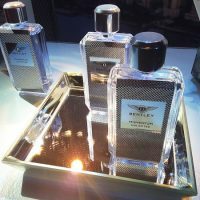 Presented in a dark setting, worthy of a jewelery box, the fragrance offers a most theatrical staging. The emotion is at the rendezvous. On the home side, Lalique Parfums also presented at TFWA-WE a new range of indoor fragrances. 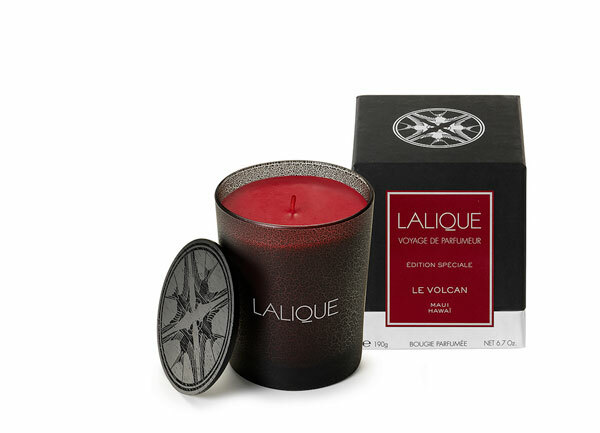 The Neroli will remind you of a stay in Morocco, the Poplar your beautiful memories of a walk in the forest, and Vetiver the beauty of Bali, the paradise island.